In this guide, I will show you how to install One Alliance Reborn builds on Kodi 18.1 / 18.0 and Kodi 17.6. 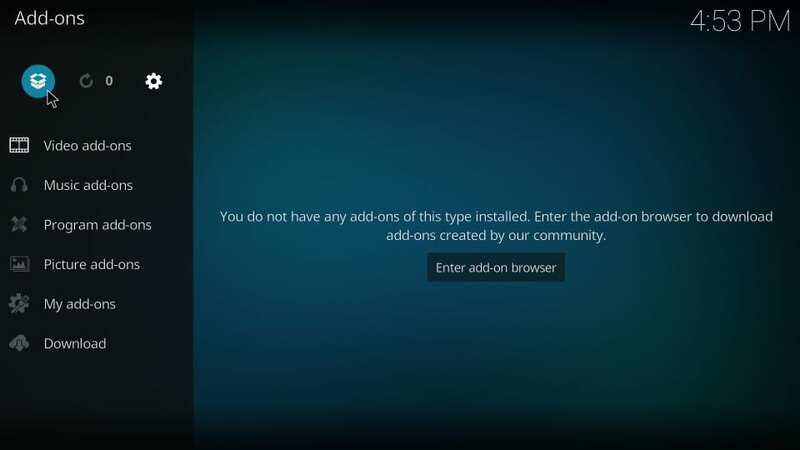 Use these instructions on any Kodi device you like, including Amazon FireStick. 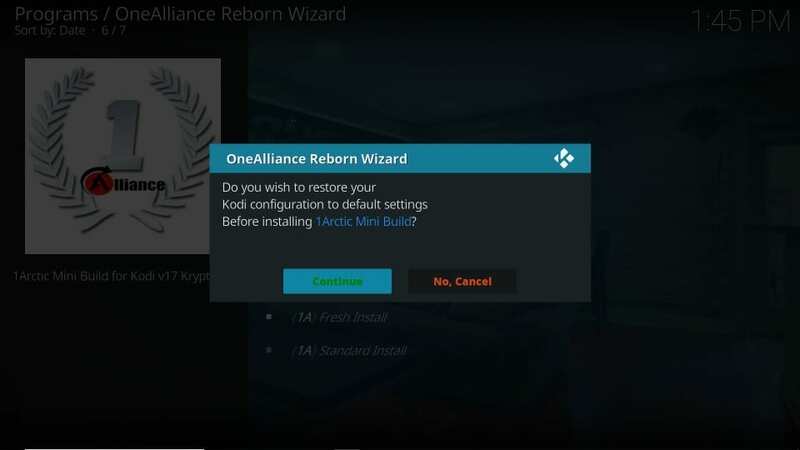 One Alliance Reborn is one of the most reputed sources for Kodi addons and builds these days. 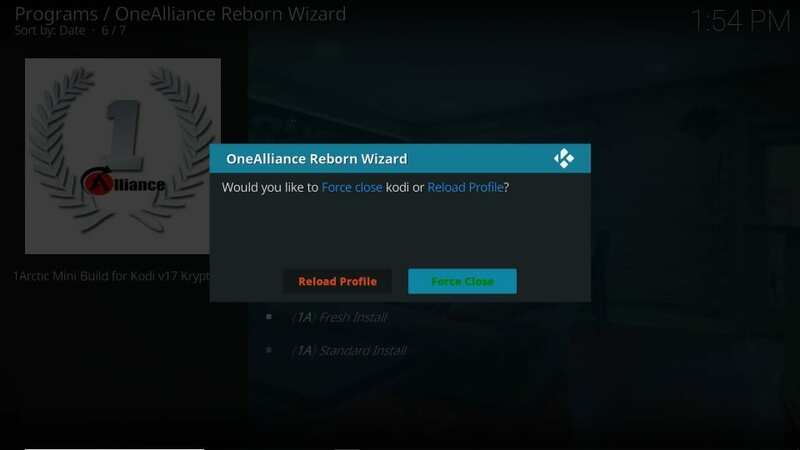 The OneAlliance Reborn Wizard, obtained from this source, hosts four builds. 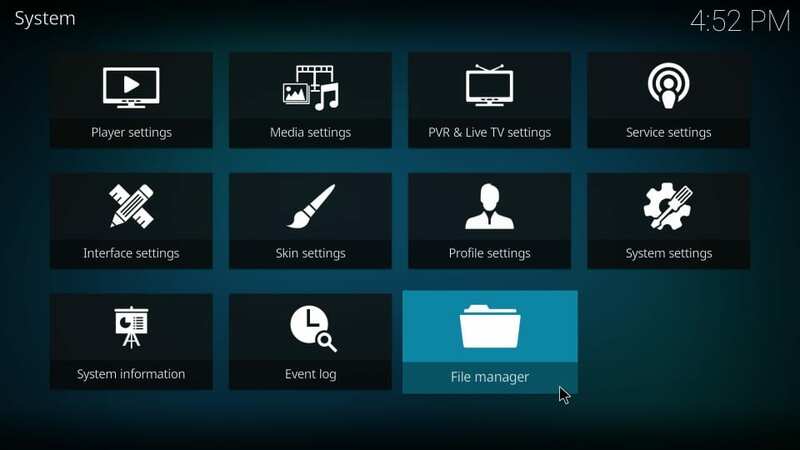 These builds come with a good collection of preloaded video-addons for movies, shows, live TV, sports etc for both Kodi 18 Leia and Kodi 17.6. 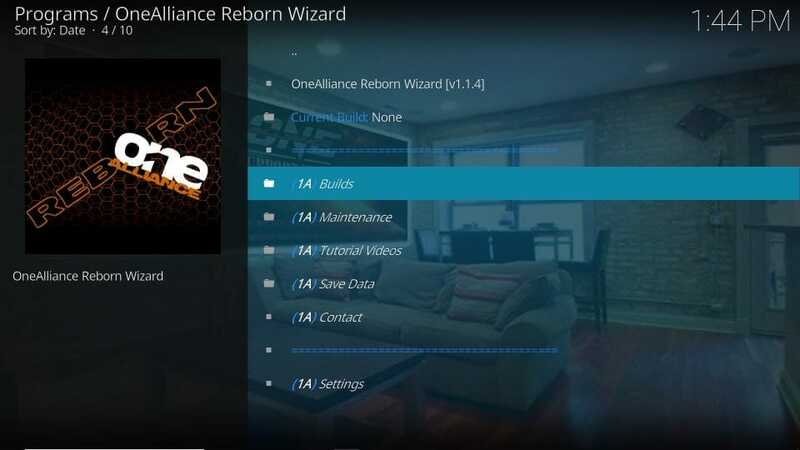 One Alliance Reborn builds have attractive, yet simple looking interface. If more builds are added to the inventory, I will update it here. 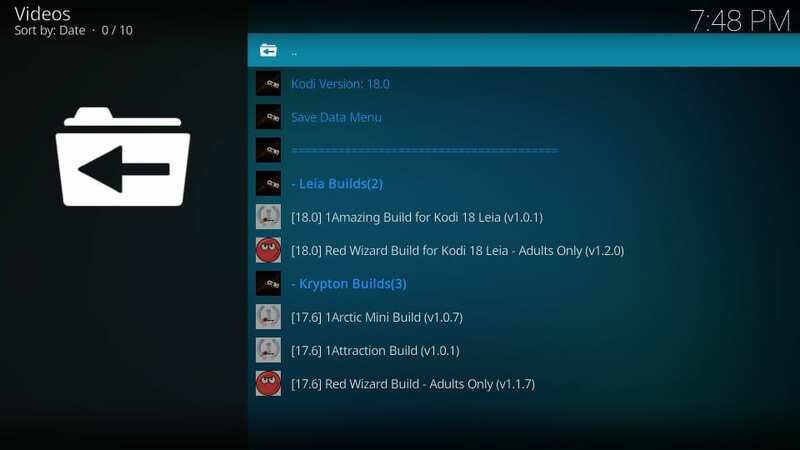 Note: If you use Kodi 18 Leia, select one of the Leia builds instead. 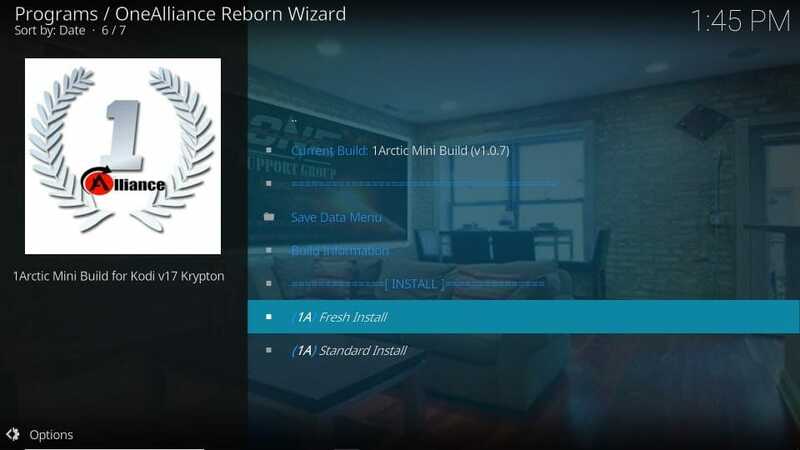 Also, you may choose any other build for Kodi Krypton. 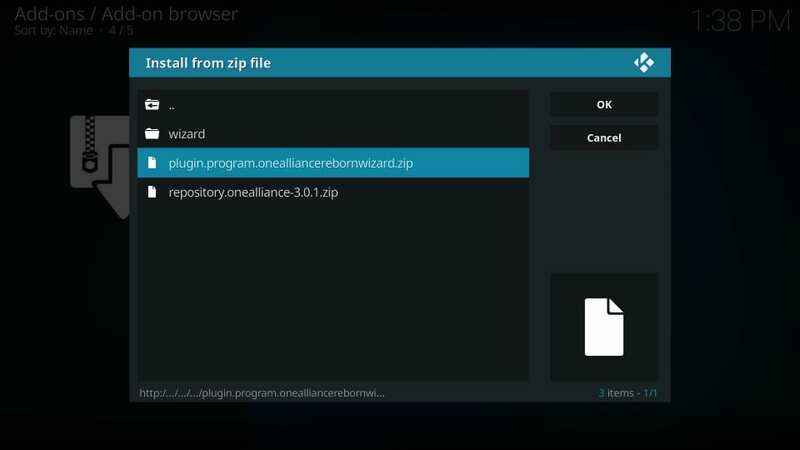 Wait for the build to download. Note: It may take several minutes to download this Kodi build depending upon the speed of your internet connection. 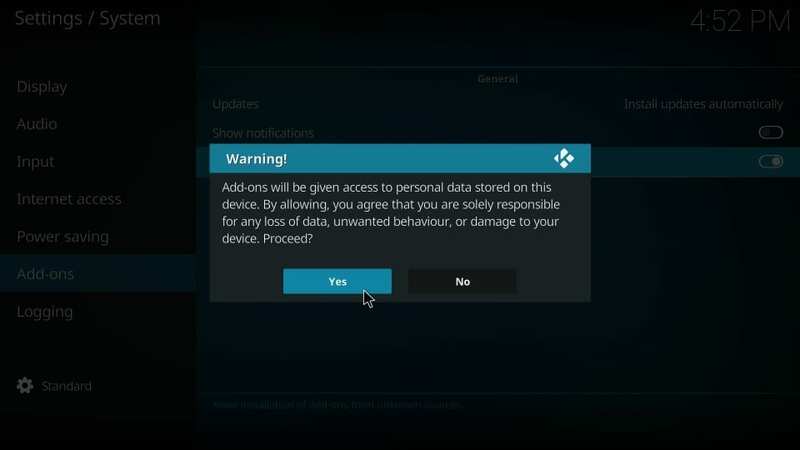 It is also dependent upon the specs you are downloading this build on. 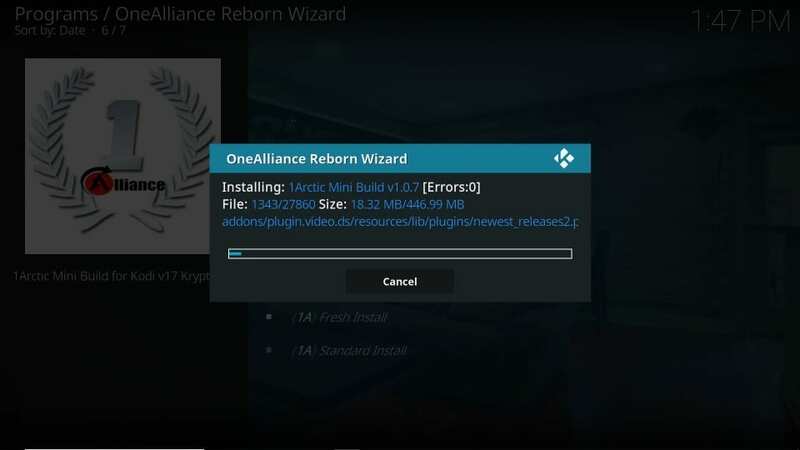 We will briefly explore the One Alliance Reborn Kodi build that we just installed: 1Arctic Mini Build. 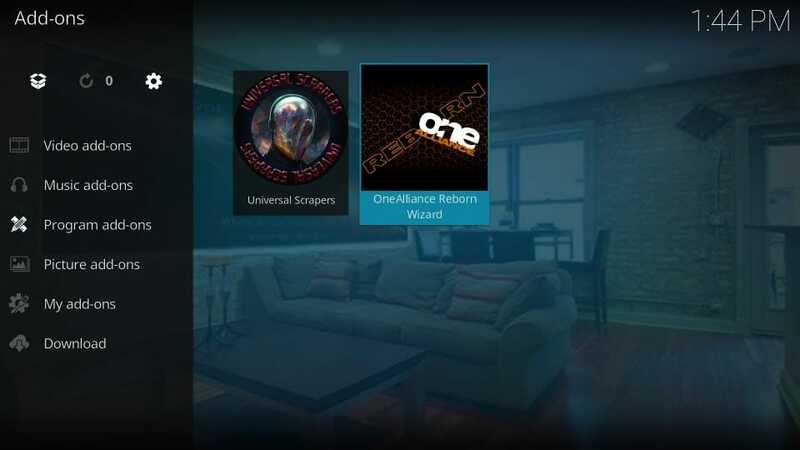 This is the home screen of the build. The layout of this build is slightly different from the standard design. 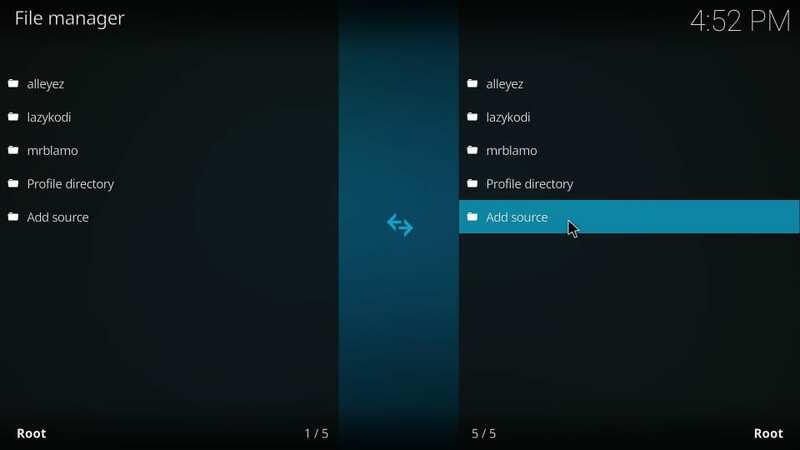 While there is a navigable menu bar like the other builds, the submenu bar isn’t snapped to it. Instead, the submenu bar appears as a popup when you click any item in the menu. 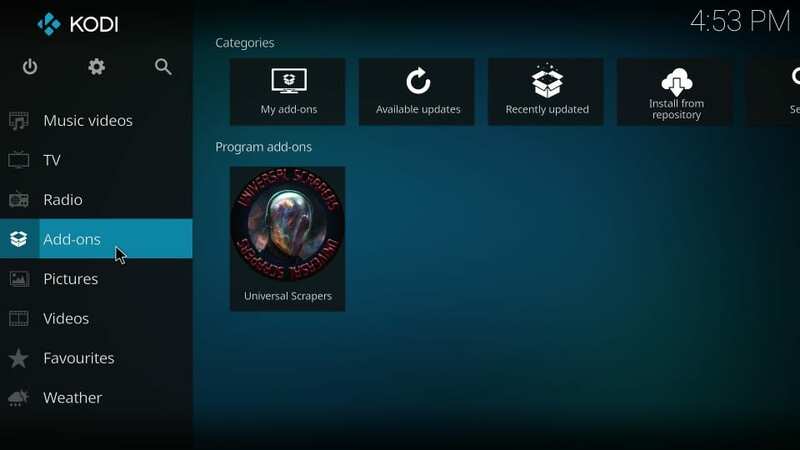 For instance, when I clicked Movies, it popped out the related options. 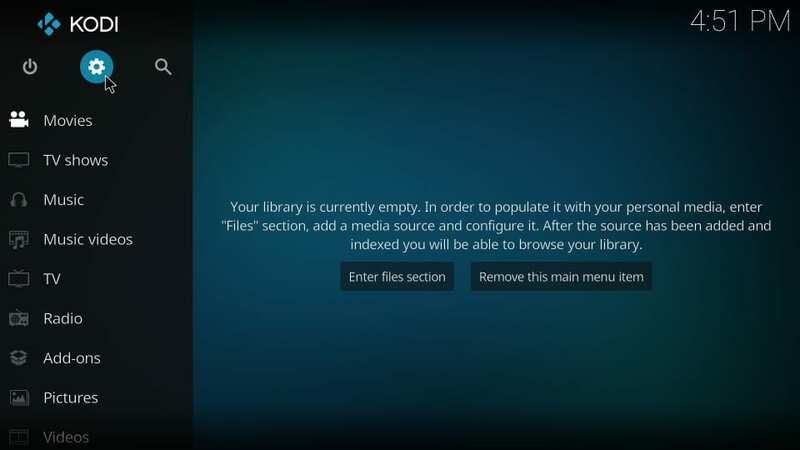 Depending upon what you select in the menu bar, the strip above will display the related featured content. 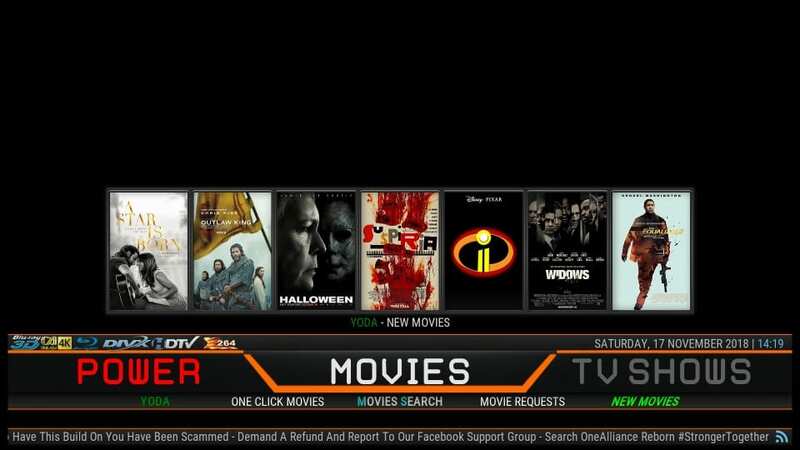 When I select Movies, it shows the trending movies. 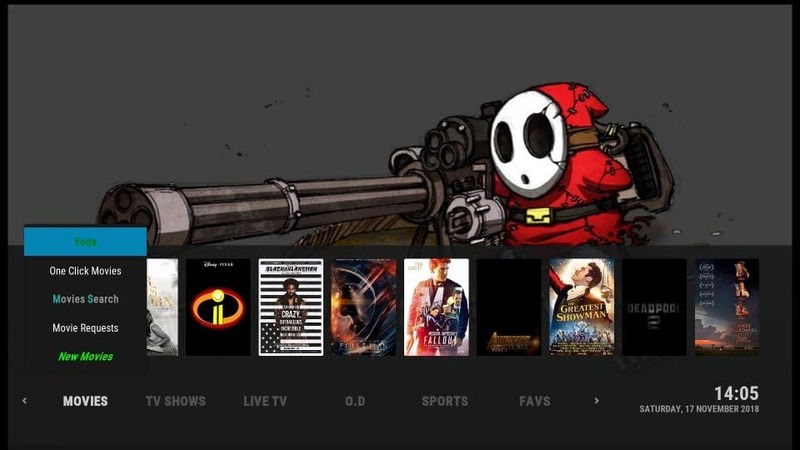 1Arctic Build has regular categories like Movies, TV Shows, Live TV, Sports, Favs and a special O.D (on demand) category. 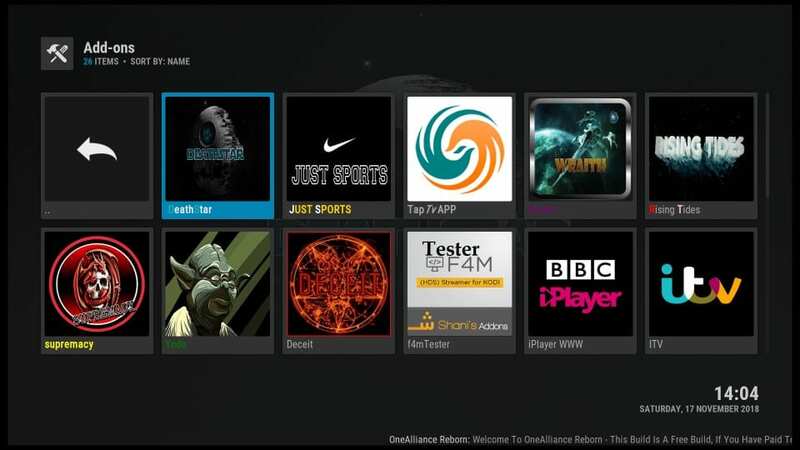 The build also features some popular addons like DeathStar, Yoda, Supremacy, Wraith, The Magic Dragon, SportsDevil, etc. 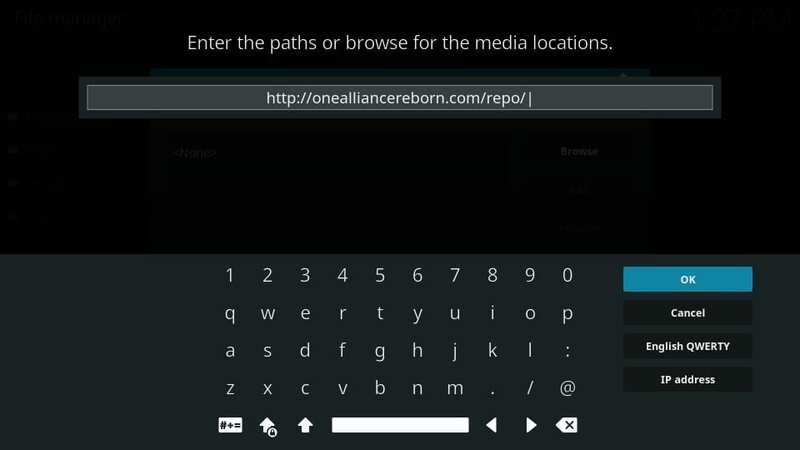 I believe that OneAlliance Reborn is a decent inventory of some decent builds. Both the builds I installed, worked smoothly on my computer. 1Arctic was a bit slow at the beginning on FireStick but later offered acceptable performance. 1Attraction, on the other hand, fared better from the start. I would also love to hear your feedback on these builds. Please fill us in via the comments section below.